Though, when I thought about how I spent 19 November, knowing nothing of its significance, the idea didn’t seem so absurd. I’d made a mental note that day of the wonderful guys I had met this year in my mostly female program. That weekend, my university was hosting its annual What Makes A Man conference, a two-day discussion of men, masculinity and gender. Two weekends before that, my father had driven me through Toronto’s notoriously gridlocked streets so I could spend an evening discussing sexism and colonialism with other feminists. Just as he’d driven me to extracurricular activities until I was 12. So, I looked up International Men’s Day. Founded in 1999, the project has designated 19 November as a day for men and boys across the world to talk: about gender equality, promoting positive role models, improved gender relations and the challenges facing men today. Maybe that was the source of my apprehension. Discussions of sexism often focus on misogyny, not men. It’s easy to see the ways in which gender politics have marginalised women and gender non-conforming people. It is apparent every time a woman is raped and blamed for it, murdered by her partner, criticised for being too fat or too old for Hollywood, too sexual to be respected, too unattractive to hold political office. I am writing this on 6 December. Twenty-four years ago, Marc Lepine walked into École Polytechnique in Montreal, and shot and killed 14 women. For a long time, this was another historical event I was told about at school with more and more detail as the years passed. Not until high school did I understand exactly why this was important for me as a woman, student and Canadian. It is our National Day of Remembrance and Action on Violence Against Women. But I am reminded that the Montreal Massacre (as it is known worldwide) is also what inspired a group of men to start the White Ribbon Campaign, an organisation that is particularily active at my university and through which I began to understand the insidious effects of gender on men and our definition of masculinity. If International Men’s Day intends to address the issue, then more people should know about it. 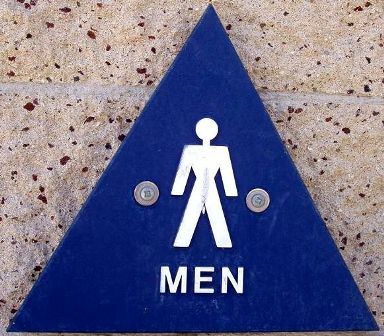 Still, the push for exclusively male spaces has never been well received, nor has the assertion that feminists ignore men’s struggles with gender. Earlier this year, my student union rejected a request by students – two female, one male – for a men’s issues group, saying its creation had the potential to create a hostile environment for women on campus. I contacted New York-based writer, poet and performer Carlos Andrés Gómez about International Men’s Day; its goals, and the need for discussions about masculinity within a feminist framework. ‘I don’t think any man needs to be telling women what to do with movements they’ve been leading for centuries. That being said, I think all of us men need to find ways to connect and communicate with each other about how we can grow and embrace our gender identity in healthier, more just ways,’ he wrote in an email. His latest book, Man Up: Reimagining Modern Manhood, as well as his poetry, address the messages about masculinity all men hear every day. He also speaks and writes about the ways in which men can end violence against women. The pursuit of gender equality has always included the question of what exactly the word entails. And as women continue to succeed in the academic, professional and political spheres, it’s even more important to ask: should we be trying to be more “masculine”? If we are, what is it we’re emulating and is that necessarily good? International Men’s Day is, according to its site, an attempt to address the exhausting demands on masculinity and the sacrifices made in the ‘development of manhood’. Masculinity has been discussed in relation to self-destructive politicians and television like AMC’s Mad Men and Breaking Bad. From Walter White’s ruthless mission to ‘protect his family’ to Don Draper’s lack of sentimentality, sexual prowess and professional authority, entertainment writers, cultural critics – professional and amateur – question why these men are celebrated on-screen and off. These are unhappy, unhealthy men and they are toxic to everyone around them, but discussion of the gender politics that contribute to their characters (and the cult of personality around them) is not nearly as loud as those about their wives. It is so lacking, wrote Abigale Rine for the Atlantic that relatively little was made of the fact that Don was raped when he was younger, evidence of the double standard about male and female sexuality. My immediate repulsion of the existence of ‘a day for men’ (as Australian coordinator Warwick Marsh put it in his video for this year’s event) was, I realise, a response to claims of misandry and reverse-sexism by a small but vocal group of MRAs. I asked Gómez if women should be skeptical of joint discussions of gender with the more privileged group. This entry was posted in Featured, Opinion and tagged feminism, Opinion, white ribbon day. Bookmark the permalink.